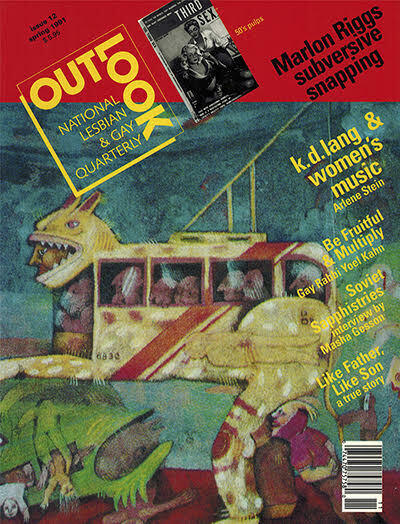 In conjunction with the exhibition “OUT/LOOK & the Birth of the Queer” currently on display at the GLBT History Museum, this panel will address questions of homophobia, race and immigration in relation to the 30-year period since the groundbreaking journal OUT/LOOK first emerged in 1987. Eniola Abioye, steering committee member for the Black LGBTQ Migrant Project at the Transgender Law Center in San Francisco. Marcia Ochoa, co-founder of El/La Para Translatinas, a transgender Latina social justice organization in San Francisco’s Mission District. Subhi Nahas, a gay refugee from Syria. He is the founder of the Spectra Project, a nonprofit that helps LGBTQ refugees from the Middle East and North Africa. Andrew Spieldenner, a longtime HIV advocate and cultural critic who serves as research director for U.S. implementation of the HIV Stigma Index for GNP+/North America.